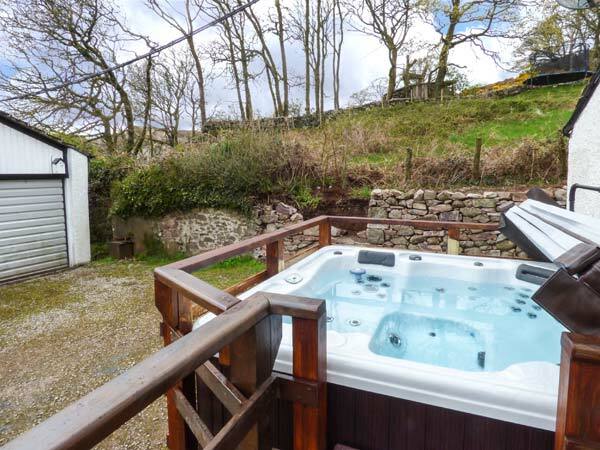 Peel Place Noddle, a delightful, detached cottage in the village of Eskdale, is surrounded by glorious scenery of the Lake District National Park. 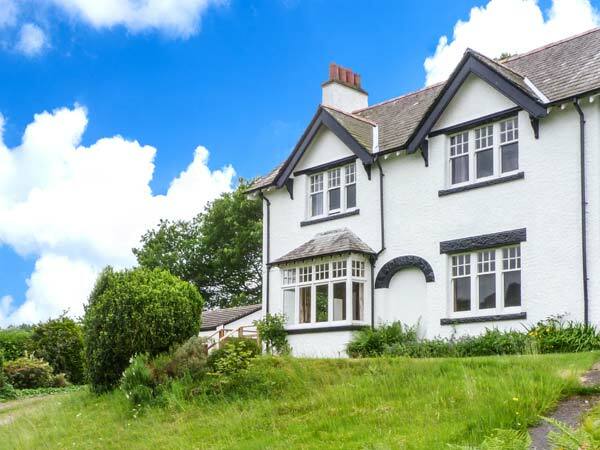 The cottage offers two king-size double rooms, a further double room, a single room with an en-suite shower room, and a family room featuring a further double, and a single bed. There is also a family bathroom and a ground floor WC. There is a kitchen with a dining area, a sitting room boasting a roaring open fire, and a snug with a woodburner. Outside, there is an enclosed, lawned garden with hot tub, and off road parking for four cars. Peel Place Noddle is set near a railway line, with up to two trains running past daily, and is the perfect retreat for families and friends exploring Cumbria and the Lake District, all year round. Five bedrooms: 2 x king-size double, 1 x double, 1 x single with en-suite shower, basin and WC, 1 x family room with 1 double and 1 single. Bathroom with bath, shower over, basin and WC. Ground floor basin and WC. Kitchen with dining area (seats 8). Utility. Sitting room with open fire. Snug (seats 4) with woodburning stove. Central heating from woodburning stove with open fire. Electric oven and hob, microwave, fridge/freezer, washing machine, tumble dryer, dishwasher, TV with FreeSat and BT Sport, DVD, WiFi, PlayStation, selection of books and games. Fuel, power inc in rent. Starter pack of coal and wood provided. Further coal and wood are available on an honesty basis. Bed linen and towels inc. in rent. Travel cot and highchair . Off road parking for 4 cars. Front, enclosed lawned garden. Rear, enclosed lawned garden with decked patio, charcoal burning BBQ and hot tub. One well-behaved dog welcome. Sorry, no smoking. Shop 8 mins walk, pub 5 mins walk. Note: Road to cottage is narrow, may not be suitable for large vehicles, although there is free parking in the railway car park at the end of the lane. Note: Due to the Ravenglass & Eskdale steam train railway line nearby, there will be some associated noise, trains run up to twice every 40 mins during peak seasons. Note: check in is after 4pm.